spell (2017), emphasises materiality through the senses. 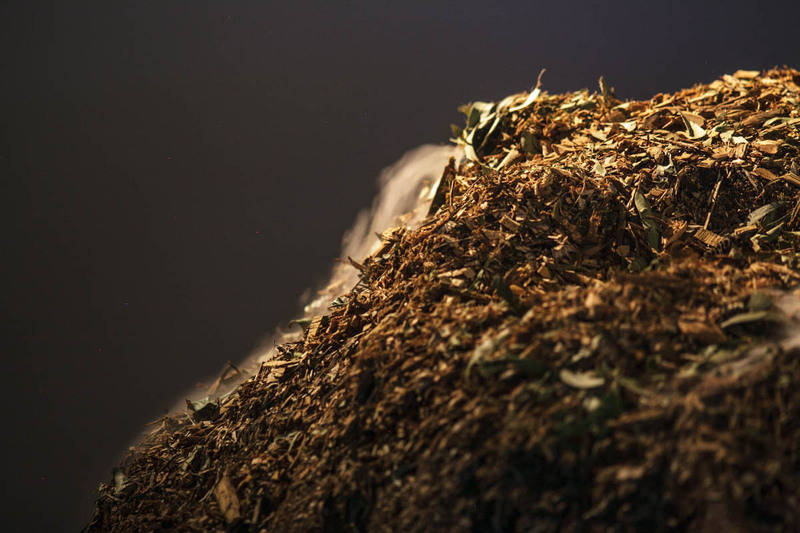 A pile of mulch exhales a natural scented vapour of eucalyptus which acts as an animated presence. spell is a pause for wonder: wonder of the surrounding natural phenomena, such as water becoming steam with rising and cooling temperatures. Within a cultural context, spell also acknowledges several Indigenous cultures which have maintained direct contact and exchange with the environment. Particularly, the Aboriginal Australians and native Amazonians who perform smoke rituals to welcome visitors to their land and to cleanse and purify the environment of negative energies. While in the North-East of Italy, the area where Ferracin is from, farmers use smoke to interpret the harvest season ahead. 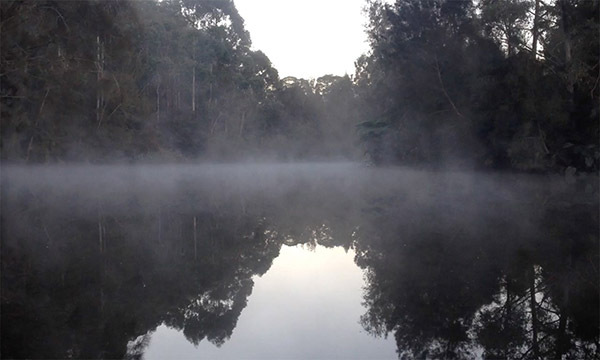 The video creates an ephemeral mood by portraying steam exhaling from Lane Cove river.